Colonoscopy. 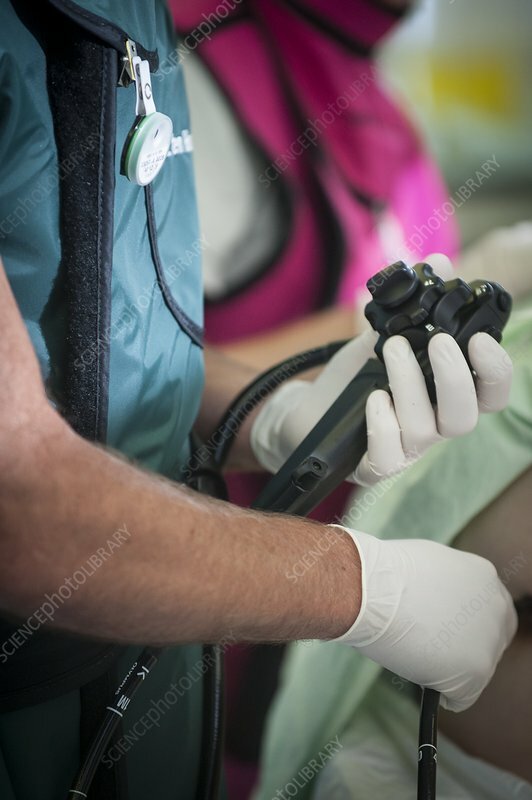 Doctor performing a colonoscopy on a patient. A colonoscope is a flexible endoscope that is used to view the interior of the large intestine. Photographed in the Netherlands.